Our technicians regularly undertake Pest Management training and hold Approved Handler for Urban Pest Management which meets the Hazardous Substances and New Organisms Act. Our technicians also hold a higher level of qualification in the National Certificate in Urban Pest Management. We are also members of the Pest Management Association of New Zealand. We also realise that our customers care for their staff and customers. Caring for the environment is also key to many organisations today so our highly trained staff use methods that protect your staff, customers and our environment. Pest Solutions actively participate in responsible sustainability practices. This is in response to major environmental problems facing the planet; including climate change, waste reduction and non-renewable resource management; conserving essential resources such as water, energy and waste management. A best practice approach to Health, Safety and Environmental Care is maintained through policy and service approach. 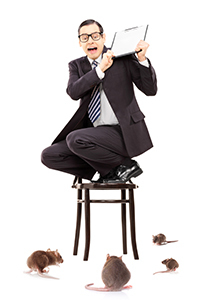 Disruption of your work processes and practices are the last thing you want so Pest Solutions works in a consultative approach with you to minimise any disruption. All part of the personalised service we offer. 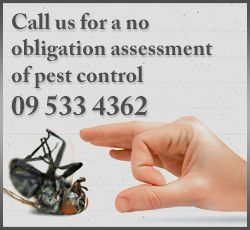 Call us for a no obligation assessment of pest control at your premises and to see if we are right for each other. We tailor an option that is right for you.